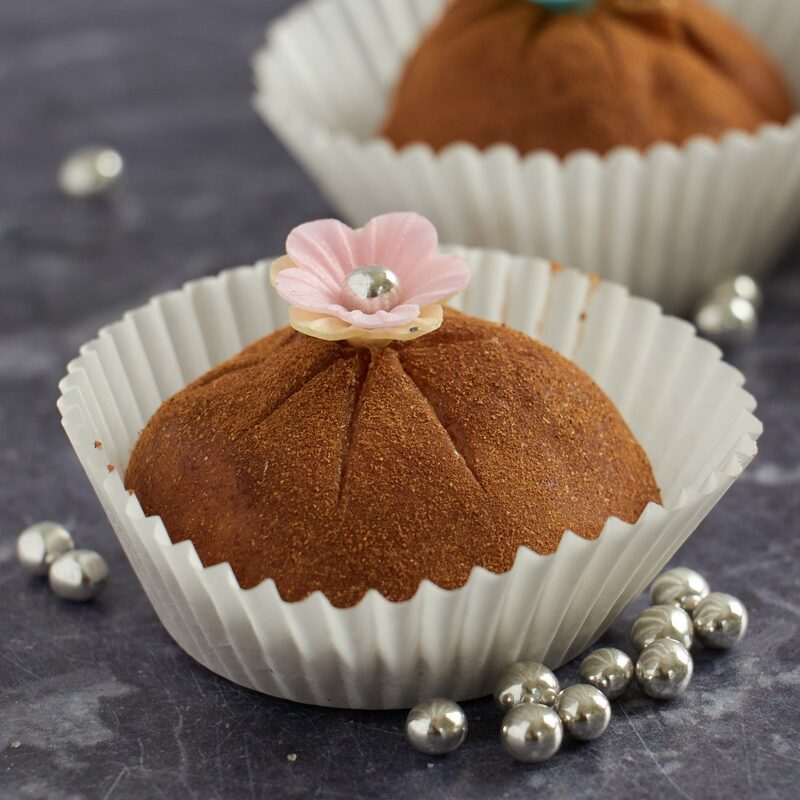 These bonbons are a based on a traditional Peruvian recipe for manjar blanco, which is used as the filling in Alfajores, or the creamy custard in Suspiro Limeño as well as other goodies. Here the manjar blanco stands alone with merely a coating of cinnamon. They are usually topped with a single sugar pearl, but I loved the color of the wafer flowers and added a single silver sugar pearl to the center of each flower. 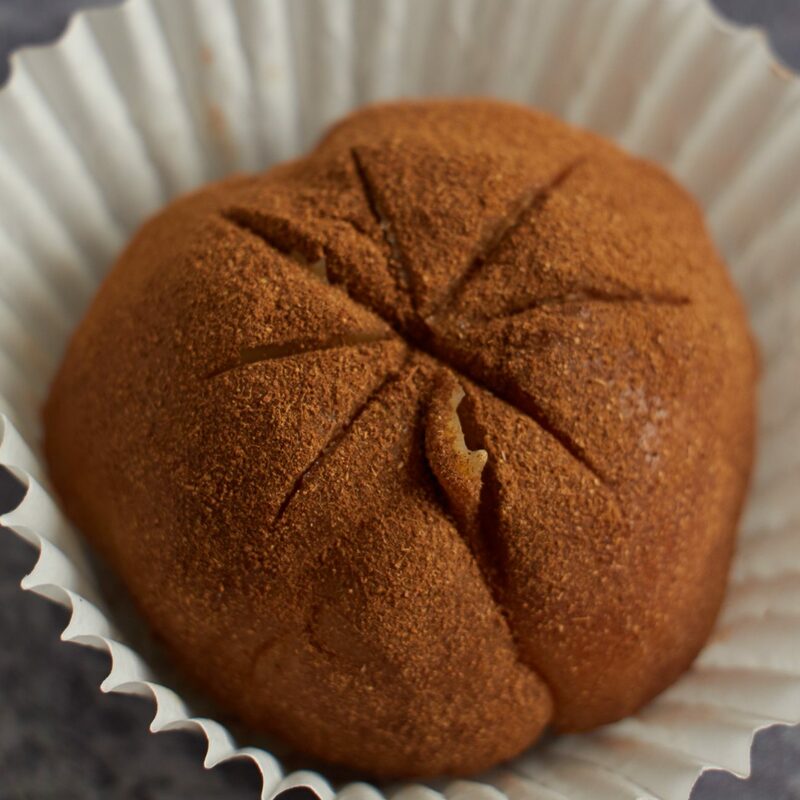 The flavor is creamy, and the cinnamon gives it a little kick. I can’t do justice to how good it tastes with mere words – you’ll just have to make some and try them for yourselves! 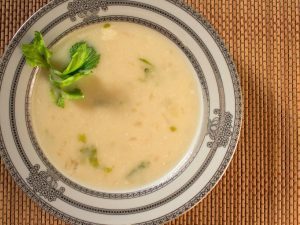 Combine the evaporated milk and sweet and condensed milk in a saucepan over medium heat, bring to a boil, then reduce to a simmer. Stir until a thick, creamy, and caramel color sauce forms. This takes around 30-40 minutes of constant stirring, so make sure you have plenty of time. The right consistency is when the mixture is sticking to the spoon and itself in a uniform mass. Transfer the sauce to a glass baking dish and let cool for about 2 hours. Using the palms of your hands, roll about 1 tablespoon of manjar blanco into a small ball. 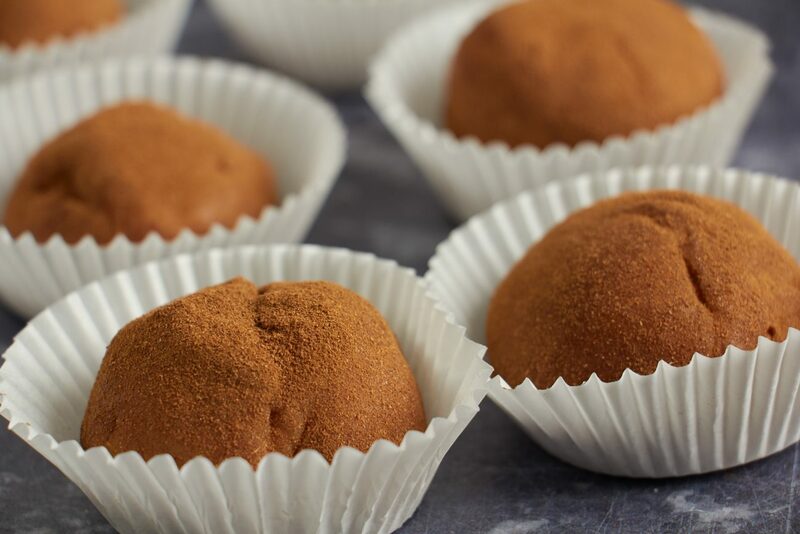 If you are struggling to roll them into balls without them sticking to your hands, pop the mix into the fridge for an hour or so to make it firmer. 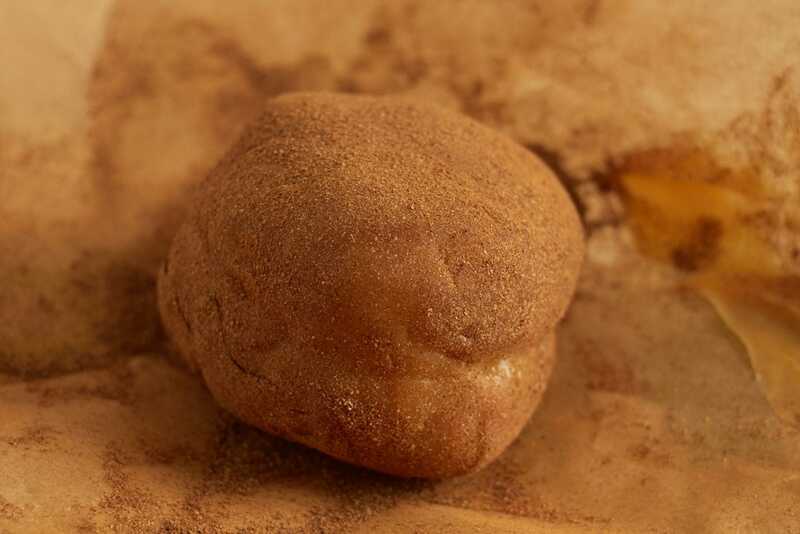 Dust some cinnamon powder on the baking sheet or paper and roll each ball on the cinnamon to coat completely. If you are having problems, again put the balls into the fridge for a while. Caramel soon warms up when you touch it with your hands, so try to coat them quickly. 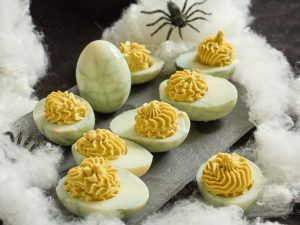 Drop the coated balls into small baking cups and set aside. 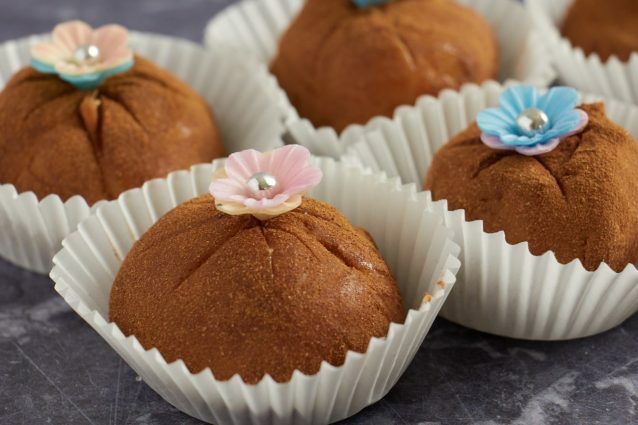 Use a knife to mark an asterisk on the top of each ball, and decorate the center of the asterisk with a sugar pearl or whatever you are decorating them with. Once the mixture cools it should be firm, but soft enough to form and roll into balls. If you haven’t made your mixture quite firm enough, you may have to put the balls into the freezer for half an hour to make them firm enough to work with. Don’t worry, they’ll still taste as good once you’ve finished! When you are cooking the caramel mixture on the stove top, please be careful. Boiling caramel can cause a nasty burn, especially as it sticks to the skin. If you do get splashed, don’t try to wipe the hot mix off, as it can take your skin off with it. Run the burned area under the cold tap until it’s cooled down, then remove the caramel. 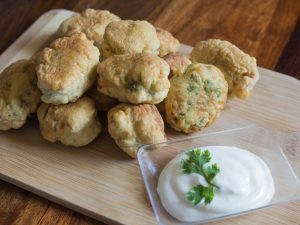 Herb fritters: These are the most flavorful fritters you will ever eat! 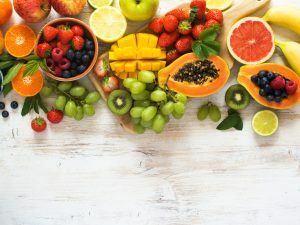 6 incredible fruit combination you must eat!